Should Democrats Change Their Name to 'Democratic Socialists'? Gallup just released a poll that only confirms what has been obvious to most observers for some time: Democrats are becoming socialists. The only question now is whether the Democratic Party should change its name to the Democratic Socialists. 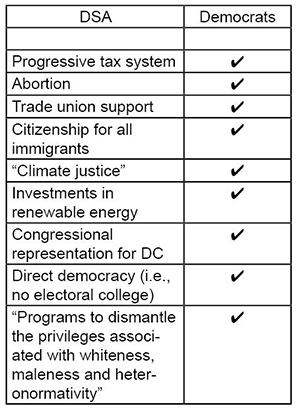 Doing so wouldn’t conflict with the already existing Democratic Socialists of America (DSA), since the DSA makes it clear it is not a political party. While Democrats haven’t exactly made the case for shelter and transportation free for everyone, they certainly want it for lower- and perhaps middle-income people. 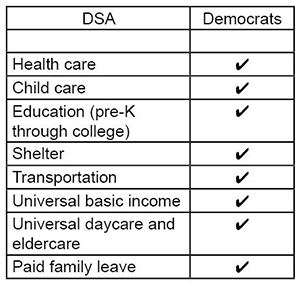 Any astute observer will recognize that the DSA’s policies and principles don’t represent the Democrats of the future—but the Democrats of today. It’s time for the Democratic Party to own up to the transformation and become the Democratic Socialist Party.